Do you need to motivate your people? Using the Panathenaic Stadium facilities as a venue, HELDEN can blend age-old values into original concepts to enthuse your people. In antiquity the Panathenaic Stadium was the centre of sports events in honour of Greek goddess Athena. 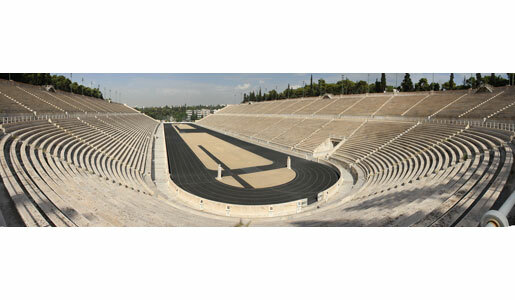 Reconstructed in modern times, it hosted the first modern Olympic Games in 1896. Now this horseshoe-shaped, beautifully tiered stadium lends its history and character to key sport-related ceremonies. This is where the Greek leg of the torch relay ends and the Olympic flame is handed over to the country hosting the Olympics. It is also used for music performances.